Ashley was only three years old when she was taken from her mother -- too young to understand why she couldn't stay with the mother she adored and she could not possibly have realized that she was going to spend the next nine years bouncing from one foster family to another. As a small child she could not stand up for herself when the people that were charged with her care failed her. At twenty years old, her mother Lorraine was also too young to take responsibility for her two children or negotiate the legal system that tore apart her family. Three Little Words is Ashley's story, told in her voice, about the time she spent without Lorraine, and her search for someone to mother her. It contains all the passion and detail that can only come from someone who has experienced the foster care system from the inside. After spending almost ten years in foster care, twenty-two year old Ashley Rhodes-Courter has been featured in Glamour, USA Today, and on The Today Show. 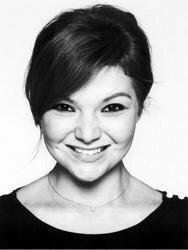 Ashley is a sought-after child advocate and gives keynotes to conferences on foster care and adoption all across the United States. She has spoken on Capitol Hill and has been invited to the White House twice. In early 2007, she was honored with a Golden BR!CK Award, which gave $25,000 to her charity: the North American Council on Adoptable Children. 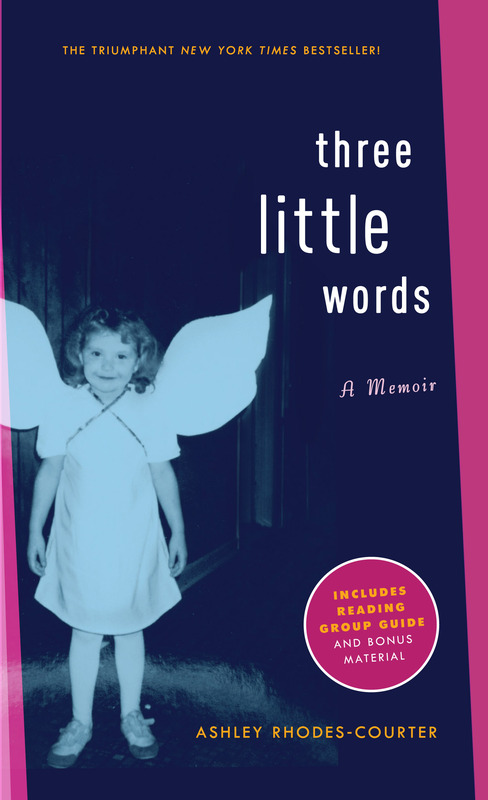 Her memoir, Three Little Words, published by Simon & Schuster began as an essay also titled "Three Little Words," which won a writing contest for high school students and ran in New York Times Magazine. She hopes that her story might inspire young people to share and learn from their hardships so that this generation can change the world for the better. 1. What are the three little words of the title? Are these the words that you expected? Why are they so significant to Ashley and to the story? Do you think that Ashley would change these three words if she could? 2. Why did fighting the Mosses become so important to Ashley? What was she hoping to gain? Was Gay and Phil's reaction to her efforts fair? Was the end result worth the effort? 3. Ashley was always acting out toward Gay, and made a point of doing things that would anger or hurt her adopted mother. Why did she act this way toward Gay but not toward Phil? How did Gay's reaction to all this affect Ashley's behavior? Why did Ashley eventually stop acting this way? Was her behavior markedly different from a "normal" teenager's? 4. Why did Ashley drug Gay and Phil? Why did getting caught upset her? Did her reasons for being upset change? 5. Did Ashley always feel responsible for Luke's happiness and well-being? Is it fair to think that she should have? 6. Was Lorraine a bad mother? Did various people perceive her mothering skills differently? Did her ability to be a good mother change over the years? 7. The officials took Ashley and Luke away from their mother to keep them safe. Did this work? In what ways would they have been better off with their mother? What did they lose when they became foster children? 8. Toward the end of the book, Ashley seemed to reconnect with her extended biological family more quickly and easily than with her mother. Why do you think this is? 9. Were all of Ashley's experiences with foster families bad? Was there anything positive about her time in the system? Who was looking out for her? Who failed her? 10. How did Ashley get involved with writing and public speaking? Why was this important to her? Speaking out on behalf of foster children has become an important part of Ashley's life. Is there a cause that resonates with you? Write an essay or speech about it and see if you can give this speech to an appropriate service organization in your area. If this is not an option, perhaps you can write a letter to someone who is active in the cause you've chosen.